Simon & Schuster Books for Young Readers, 9781481478427, 448pp. Izzie loves nothing more than her three best friends, Viv, Graham, and Harry, and the bond the four of them share. And she’s terrified of their friendship falling apart next year when they go off to college. To bind them together, she decides to create something that will belong only to them, a special thing that they’ll always share between the four of them. And so they dream up the Order of IV, a secret society devoted to mischief that rights wrongs and pays back debts. At first, it works like a charm—but when the Order of IV’s escapades get recognition beyond their wildest expectations, other people start wanting in. And soon, what started as a game of friendship is spiraling into something dangerous and beyond their control—and before it’s over, they’ll pay the ultimate sacrifice. "Alexandra Sirowy's latest thriller spills its secrets drop by drop, exposing the murkiest corners of the human psyche. Disturbingly compelling, and guaranteed to make you shiver this summer." "Sirowy is a master of suspense...Shocking, inventive, and woven through with dread, this is a satisfying mystery." "A disturbing, morally gray, intense page-turner." "For fans of E. Lockhart’s We Were Liars and Lauren Oliver’s Panic." "The concept alone makes First We Were IV stand out in the ever-expanding roster of small-town YA thrillers. But Sirowy’s phenomenal execution will have readers salivating to get to the end. Her fine-tuned writing style draws an intricate sketch of events as they unfold and there are no extraneous details that delay the plot. The characters are unique, well-developed and perfectly flawed." "I freaking loved this book. This book was like everything I hoped and dreamed it would be, to put it simply." "Dark, edgy, and wholly unpredictable, Alexandra Sirowy’s First We Were IV is the wild summer read you need." 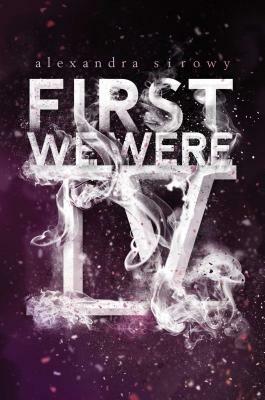 "FIRST WE WERE IV is one of those books that hooks readers from the first page." "Any fans of How to Get Away with Murder here? If so, this novel’s for you." "Alexandra Sirowy uses creepy imagery to peel back the layers of a quaint, coastal town to reveal its seedy core and to bring this twisty ride to its inevitable yet shocking conclusion." * "Hand this to readers who like their mysteries dark and deep, with strongly developed characters and stunningly good prose."